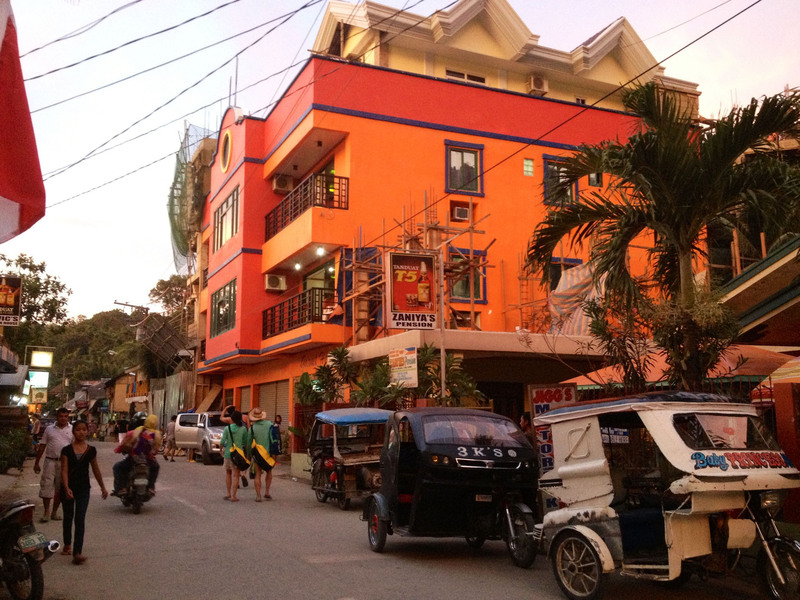 Cheap, beautiful and friendly – what more could a backpacker want from a location? I woke up in a muck of sweat. The sun was up, which meant the electricity had been turned off as it was a luxury only to be used during night hours. It was 9 a.m. and already nearly 95 degrees (that’s 35 celsius for all you civilized folk). All the locals were up, smiling, laughing and beginning their day even though they’d consumed copious amounts of Tanduay Rhum only hours ago. I had my morning insta-coffee, black with sugar as I always drink it unless forced otherwise. My head was throbbing from too much Tanduay, karokee and cigarettes the night before. But all that went away as soon as I looked out onto the morning horizon only 30 meters away, back dropped with mountains and islands. 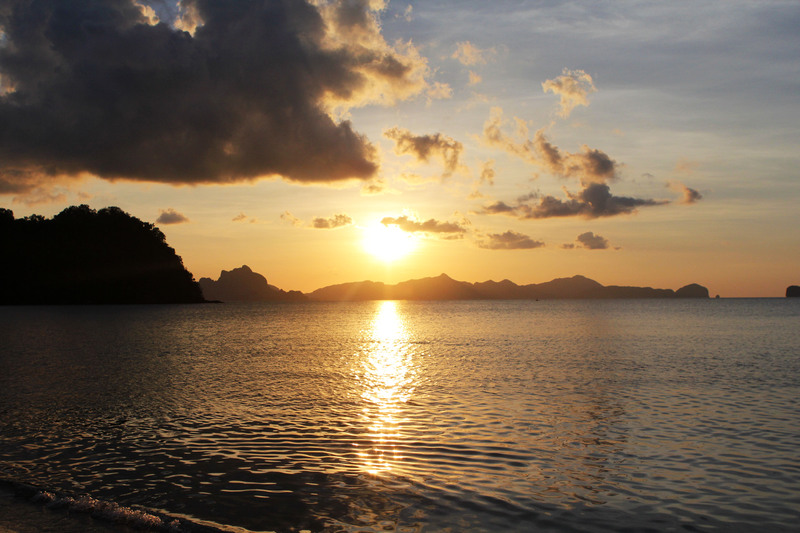 You hear a lot about El Nido from backpackers and budget travelers. 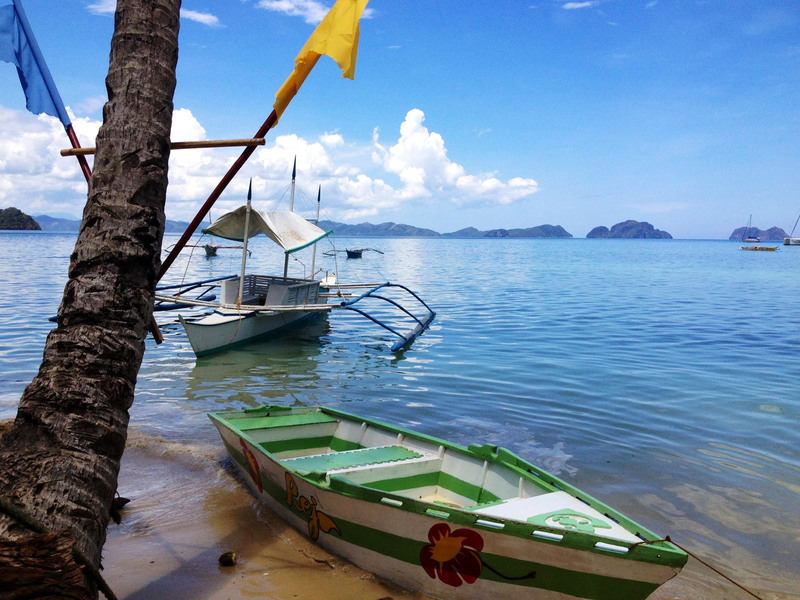 That’s because the small village that sits on the almost foremost northern tip of Palawan, one of the Philippines seven thousand islands, is ripe with paradise at an exceptionally low-cost. To put into perspective how cheap, me and two other friends paid approximately $4 a night per person for our own beachfront cottage. 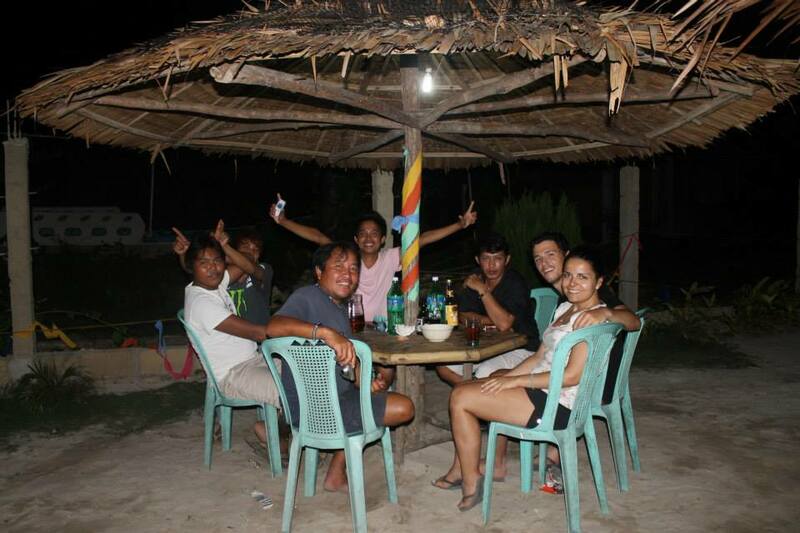 El Nido attracts the backpacker crowd. The type of people who don’t need fancy hotels, are okay with indigenous foods and who want to experience a true cultural immersion in their locality. 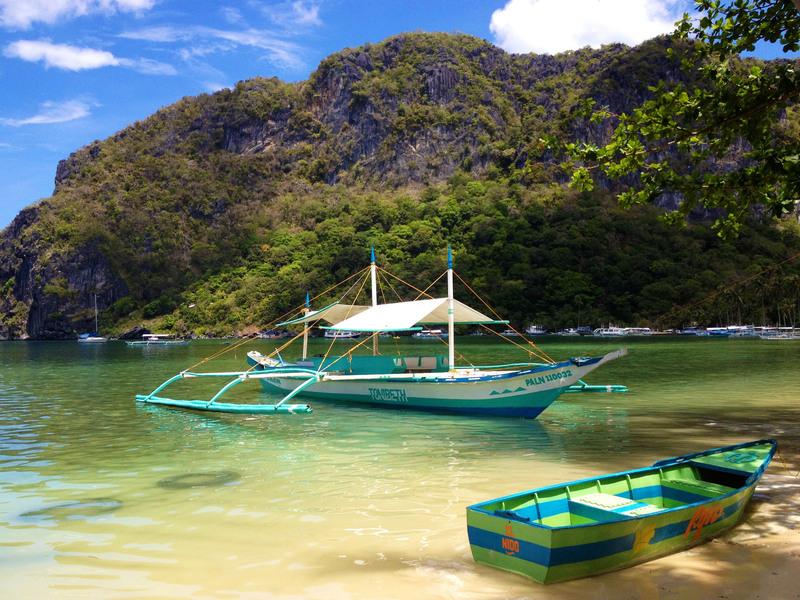 During my eight-day stay, I encountered people from all over the world – Bulgaria, France, Germany, China, U.S.A – all whom, like myself, came to experience the postcard picturesque islands, mountains and villages El Nido has to offer. 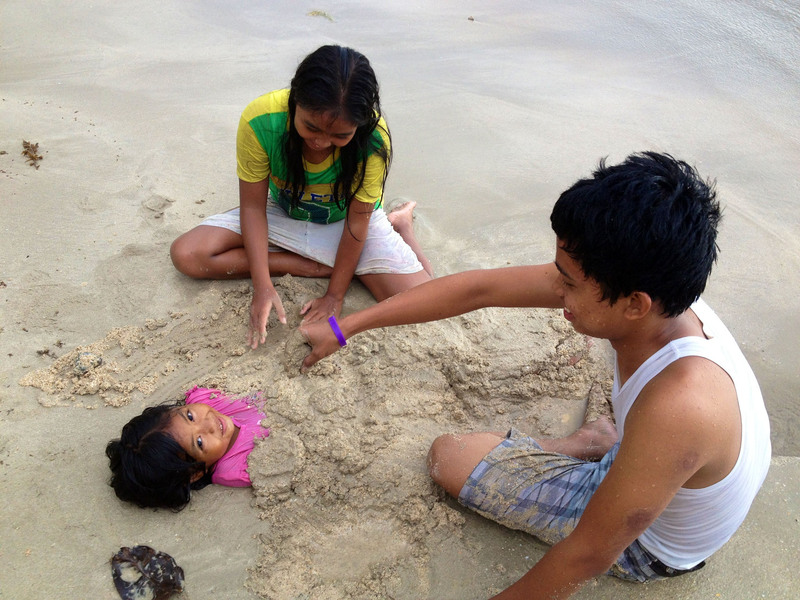 The locals of El Nido were laid-back and gracious. Most were born and raised in the little village since birth. 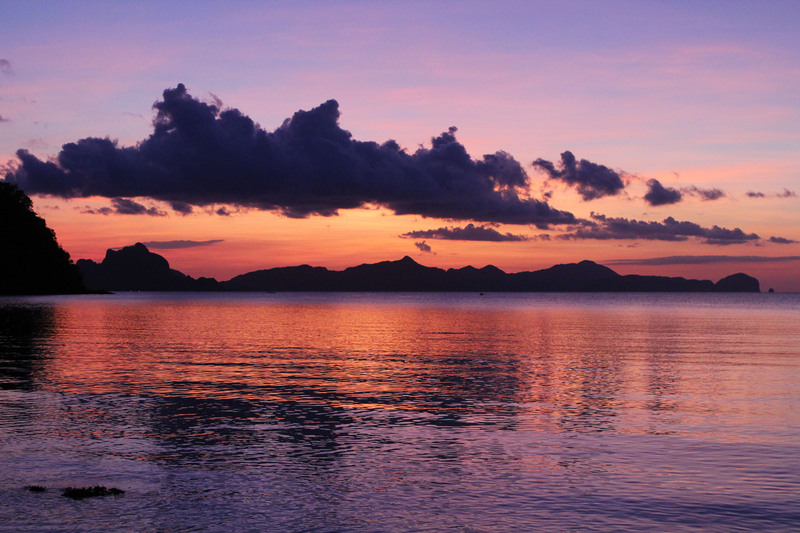 The others had moved there from Palawan’s capital, Puerto Princesa, or the capital of Philippines, Manila, in efforts to escape the fast-paced commotion and dangers of Philippine’s city life. The village would be, by any measure, considered economically poor to a westerner, but far richer in other ways that money can’t make up for. During my stay, I was fortunate to bond with a certain group of locals. They worked and ran the complex I was staying at. 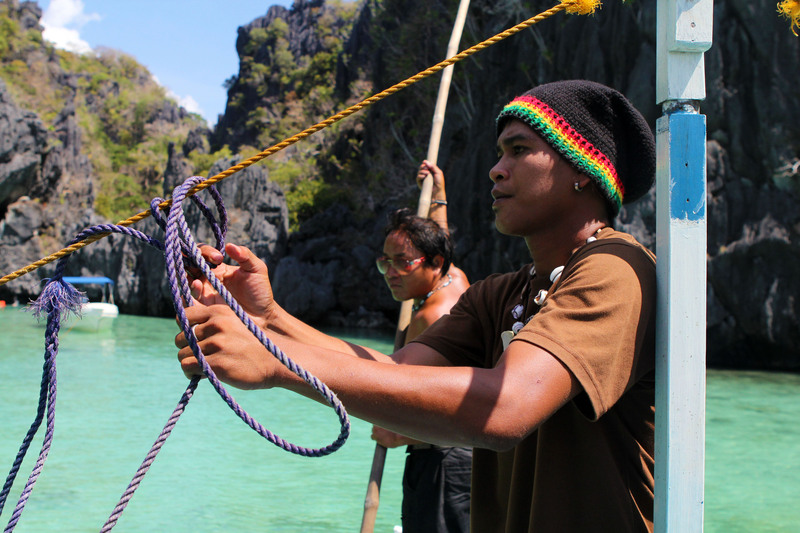 There was Manuel – a lovable, adventurous 35-year-old Filipino with a big heart, who showed us around the village, took us on boat tours of the islands and then rock climbing on a mountain. He’d stay up just about every night until 3 a.m. drinking, smoking and singing karaoke – always with a smile on his face and a kindness about him that made you instantly just want to hug him. Beth was a 40 year-old power woman. Naturally beautiful, social and sweet. Being a mother of four in no way stopped her from joining us on what I have named ‘the mountain death hike,’ a four-hour trek (the majority of which is nearly vertical over sharp shale rocks) without harnesses or climbing equipment. Beth made it to the submit with more energy than I did. I was in awe and also greatly inspired by her strength. My two fellow travel companions, Beth and me. There were others, Larry – Manuel’s best friend, Anne – a young girl about the age of 16 who also worked at the complex, Marvin – the manager of the complex – and more, mostly young kids in their teens and early twenties, who hung around the complex, helped out for a little extra cash and were friends with everyone. 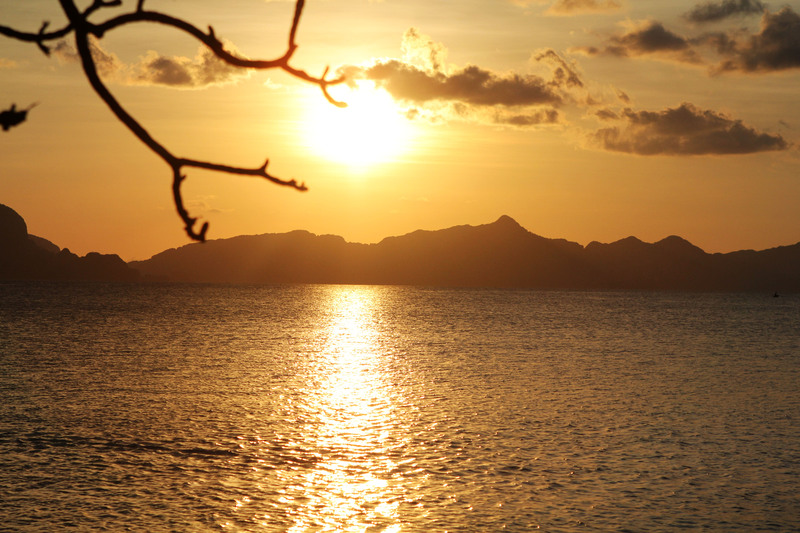 Every night, after the sun would set and dip into the oceans horizon, it was rum time – or as they spell it, rhum. 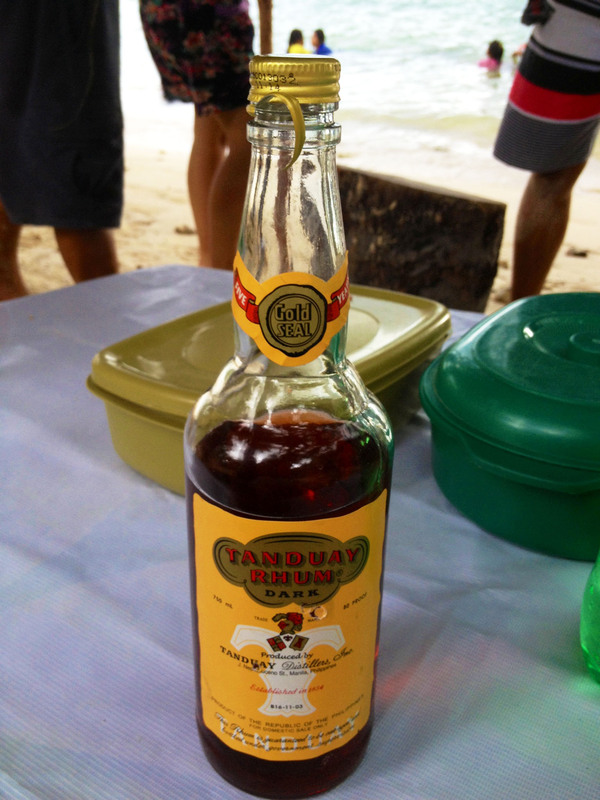 The national Tanduay Rhum (dark) would come out and along with it a bottle of Sprite. The two contents would be equally poured and mixed together in a large metal pitcher. The pitcher was then passed around with one shot glass, you’d take a shot, pour a shot for the person next to you and continue passing around until empty, in which the process was completed and immediately repeated again. 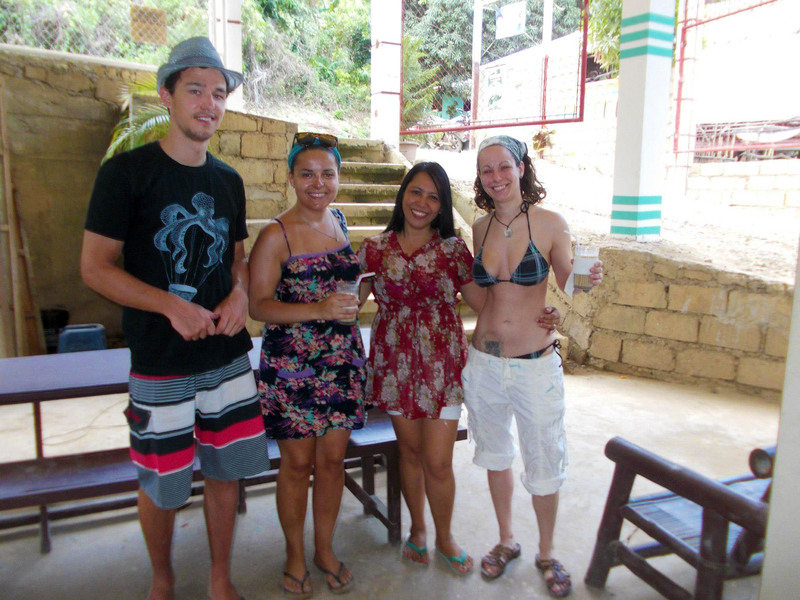 It was the first time I’ve experienced communal drinking like this. I’m used to buying or having a drink solely for myself, but I really enjoyed the sense of comradery of this group-style drinking. At first it seemed odd to be taking a shot by myself with so many other people around, however, I found there to be a melodic rhythm to it – thanking someone for pouring your shot, having it passed over to you, drinking it, pouring the next persons, looking them in the eye and handing them theirs. As the drinking commenced so did the karaoke. I can write a whole blog post in itself just about karaoke in Asia – it exists on a whole other lever that you can’t understand unless you’ve experienced it. As one who hated singing in front of people, let me just say that my mindset of “oh god not karaoke” completely changed after my first karaoke experience about two years in South Korea. Most of the time you get a private room with friends, beers, snacks and a giant television with videos and songs that you can choose to sing along to. People don’t care about looking or sounding stupid. They have fun and it’s infectiously enjoyable. So here we were, night after night, bonding over rum, song and speak. During the days, taking boat trips out to small crystal clear lagoons, laying out on the beach sand or walking and browsing around the village markets. I’m a sucker for animals so I found a pleasant delight in the wildlife and livestock of the area: pigs, roosters, cows and bats that at sunset would fly from the mountains in the East across the sky with the occasional straggler nearly catching your head. Because of the lack of big city, there was barely any light pollution at night, making the stars were a spectacular sight. Thousands of tiny dots stuck in a deep black abyss. Living in Seoul (a huge light polluted city), it had been so long since I’d seen the sky like that. To be honest, it was one of my favorite parts of the trip – just staring at the bewildering sky. I had forgotten how magnetizing a night sky could be. Thank you, El Nido, for reminding me. All photography was taken by Tey-Marie Astudillo unless noted otherwise. Photos may only be reused or redistributed with proper accreditation and official consent.